Open the two cans of tuna, wring out the water and empty the tuna into a deep bowl. Add the tomatoes, onions, and jalapeño and mix until everything is well combined. Wash the spinach and remove excess water. Place half a cup of fresh spinach in each of the four plates. 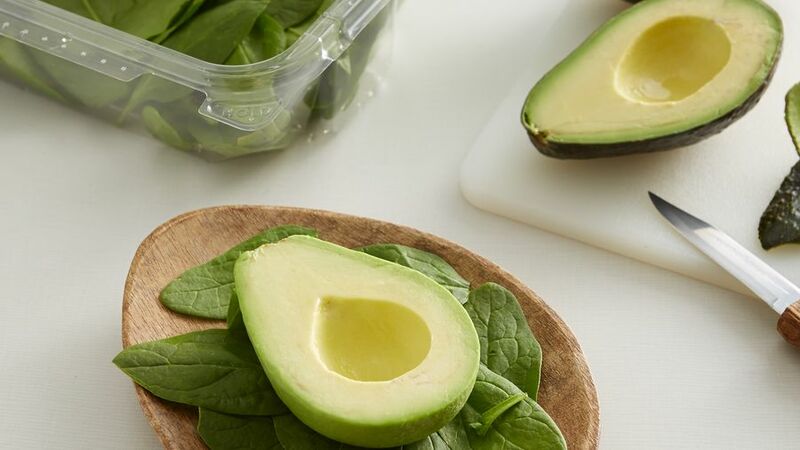 Wash and peel the avocados, carefully cut in half the long way and place a half on each dish. 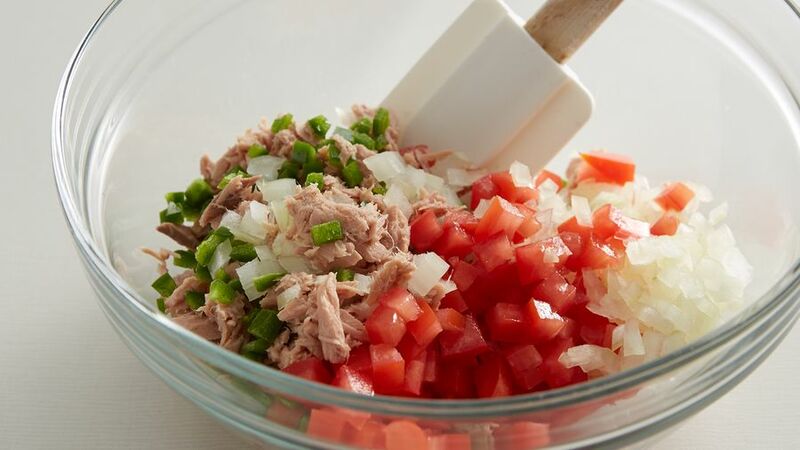 Season with a bit of salt and pepper and fill with a combination of tuna and the veggies. Serve immediately. You can use Serrano peppers instead of jalapeños. You can add a bit of lemon juice to the tuna if you like. If you're in search of Mexican recipes for Lent, then you'll probably like this. Not only it's very easy to make, but it's also the perfect refreshment for a warm afternoon. Every year I start putting away my cans of tuna because they usually save me a lot of time during Lent. 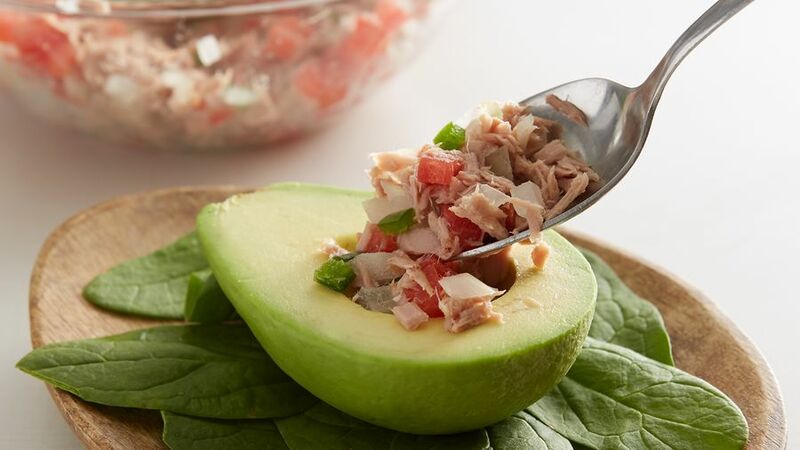 Tuna is very versatile as it can be combined with anything and is a great source of protein. 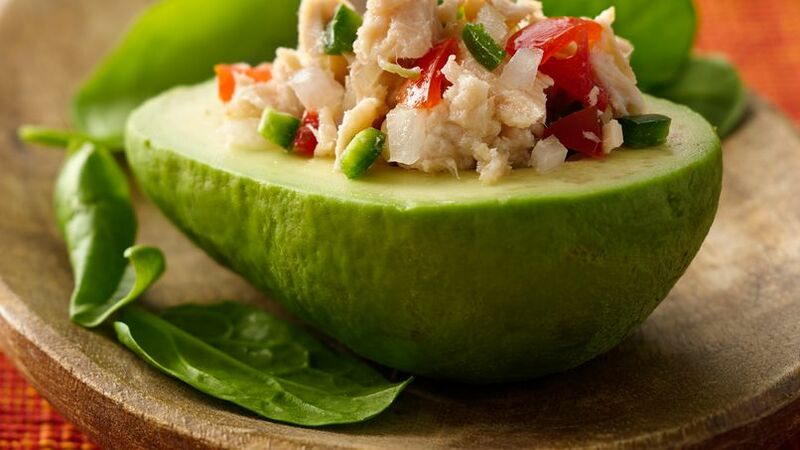 This Mexican preparation offers a light dish with avocados as the perfect addition. I hope you like it!